All true believers go straight to heaven during the Rapture, but WHEN do they go? Source: Daily Kos. Saturday, May 21, 2011, seemed like a good enough day for the Rapture: with spring in full flower throughout the Northern Hemisphere, we Left-Behinds would have enjoyed the prospect of a few more balmy afternoons before the final tribulations began. Unlike those who would be spirited away, we’d be able to savor a final hike, picnic or trip to the hardware store before we endured a wave of earthly torments and plummeted into the fiery pit for all eternity. Sadly for all of us, including the true believers, it was not to be. Pity poor misguided prophet Harold Camping, the geezerly prognosticator who personally calculated the Day of Reckoning based on scrupulous attention to Biblical numerology (though he mysteriously doubled the magic number so the resulting date wouldn’t fall in the middle of the Viking era). Pity his followers even more: not only were they expecting to break bread with Jesus by Saturday night, but apparently several of them quit their jobs and unloaded their earthly possessions in preparation for the grand event. They should have known better: this was the second time Camping had predicted the Rapture, and after all that fanfare the man still has his feet squarely planted on terra firma. By now we’ve seen enough Rapture jokes to fill an e-book, and it’s not my intention here to heap cruel and unusual mockery upon the faithful. As numerous Bible-believing Christians have accurately pointed out, Jesus explicitly told his disciples that no man knew when God’s kingdom would arrive — not even the Son of God himself. “But of that day and hour knoweth no man, no, not the angels of heaven, but my Father only.” (Matthew 24:36). I delved into the conflicting views of “pre-trib” and “post-trib” Rapturists, just to satisfy my curiosity. I actually sat down and pored over a generous sampling of Bible verses relating to the end of times. And all I can report with any certainty is that the Apocalypse is not for sissies. In fact, I came away with the belief that one can go insane attempting to conjure up a coherent, Biblically correct vision of the Last Days — because apparently there is no coherence. Those who claim to know their Bible have simply picked their favorite interpretation and staked their souls on it. Meanwhile, they’ve screened out the verses that contradict their chosen beliefs. It’s easier and more convenient than going insane. Well, every one of those contemporaries tasted of death nearly two thousand years ago, and the Son of man still hasn’t returned, with or without His kingdom. Was Jesus wrong? Did Matthew (or some early Church father who edited Matthew) put false words into his mouth? If Jesus was wrong, then he couldn’t have been divine. If Matthew was wrong, then the Bible isn’t the word of God. Either way, this single verse opens up a gaping hole in the credibility of the Bible. And it’s only one of many such verses. If we can’t trust the accuracy of the Bible — if, in fact, the Gospels aren’t gospel — what are we left with? The way I see it, we can follow one of two paths: we can toss out the entire Holy Book as nothing more than a compendium of ancient mythology and fabrications, which is the fashionable view of today’s New Atheists… or we can follow a more moderate course and use the Bible as a springboard for belief. You can probably guess which road I’ve taken. I’m willing to keep my spiritual receptors open to belief in God — even if the Bible turns out to be a jumble of wanton lies, or (as is more likely) a fascinating conglomeration of truth, legend, embellishment, hallucinatory prophecy and inspired guesswork. Too many sneering atheists make the mistake of reasoning that if the Bible is mythology, then it follows that God must be a mythical creation like Zeus, Wotan or Quetzalcoatl. They neglect to consider that God might exist independently of the scriptures we’ve scribbled in his honor. Our flimsy pretensions to belief or unbelief have absolutely no bearing on whether God is real. It could well be that Yahweh, the God of the Bible, is a creature of manmade myth. Personally, I find it hard to believe that the God of nature — the inscrutable moving force that may (or may not) have created atomic particles, the elements and all the billions of galaxies out there — would worry about whether his Jewish followers on Planet Earth ate shellfish or trimmed their forelocks. If God exists, surely he’d have to be more vast and brilliant than the often petty, jealous and judgmental male deity who purportedly reigned over the Hebrew tribes three thousand years ago. Our earthbound mammal minds simply aren’t equal to the task of imagining anything as great as a bona fide God. 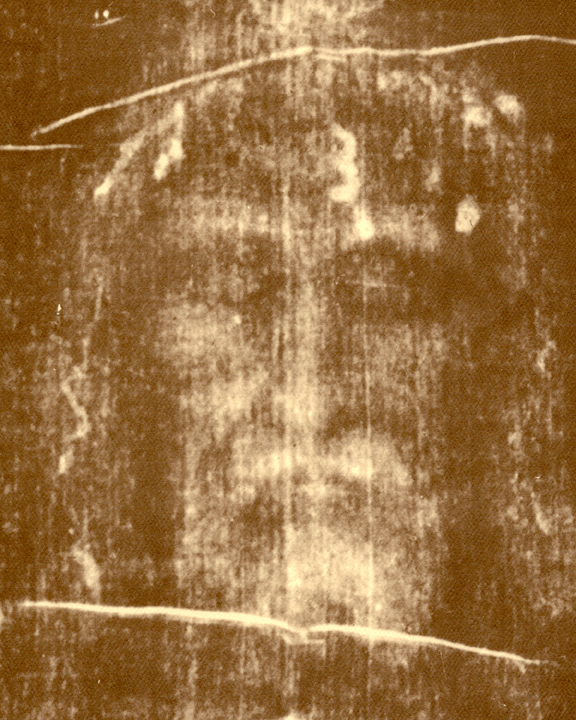 The negative image of the face on the Shroud of Turin. Are we looking at the founder of Christianity? Who or what was he? Sound familiar? It should. A moderate in religion is like a moderate in politics: reasonable, resistant to dogma, and spiritually homeless. We deny ourselves the comforting certainty enjoyed by believers and atheists alike. We don’t mind standing out in the cold, but a cozy hearth can look inviting to the perennial outsider. Does God exist? Maybe, maybe not. Did he create life and set evolution in motion? Who knows? We can’t rule it out but we can’t prove it, either. Is he a just and loving God? I have my doubts — why would a benevolent God have ordained that some animals exist to be eaten alive by other animals? Does he care about us as individuals? If one child anywhere in the world dies a lingering and miserable death, I’m afraid the answer has to be no. Was Jesus divine? I’ll concede that he was special… that he very likely performed miracles… even that he may have been a unique spiritual conduit to God. But was he God? No… even Jesus never directly claimed to be God. He repeatedly referred to himself as the Son of man, though he also hinted at something more. He’s a mystery wrapped in an enigma. Did Jesus rise from the dead? It’s improbable but not impossible; why would his disciples have risked their own lives promoting belief in a supposedly immortal man who failed to triumph over death? If Jesus didn’t rise from the dead, have Christians simply been hoodwinked for the past 1,980 years? Well, “hoodwinked” is a harsh word, but it probably fits. Still, there’s an abundance of spiritual wealth to be mined from Jesus’ ministry; what happened (or didn’t happen) in his tomb is of secondary importance. Is he planning to return in glory to gather the faithful? It’s pleasant to think so, but I’m not holding my breath. Do I believe in heaven? Ask me when I get there. You might wonder, with some justification, what feeble consolations a moderate believer can enjoy. After all, most of our fellow humans crave certainty the way an investment banker craves a seven-figure bonus. In fact, most of those humans feel vaguely uneasy around people with ambiguous opinions. Even Jesus loathed the lukewarm believer. A moderate believer, like a moderate in politics, has to be comfortable with discomfort. We tolerate that discomfort — even embrace it — not because we’re masochists but because we know no other way that satisfies a mind hellbent on searching for truth. Unquestioning believers and atheists alike have stopped searching. Are we simply afraid to take a stand, proudly and unambiguously? No, but maybe we’re reluctant to take a stand that’s wrong. You’ll never catch a moderate predicting a date for the Rapture. 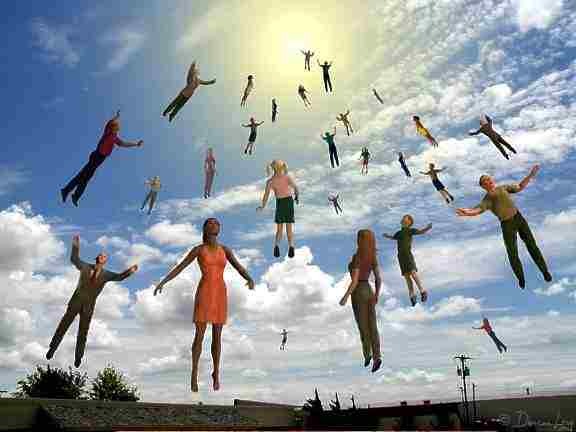 Oh, and in case you haven’t heard the news, Harold Camping has rescheduled the Rapture for October 21. This time, we’re told, he’s absolutely sure. Truth is a journey not a destination. Others can show you the truth as they have found it, but ultimately you must choose your own truth. And after you have chosen life will expose new facets of the truth you had not seen before, and you will have to change your view of the truth. Moderation is a religion too. It is essentially buddhism – the middle way. Your thoughts parallel my own – with one exception. My past perceptions of the truth, are what has brought me where I am today, and it is my current understanding that will get me to tomorrow. I am not afraid of being wrong. My search for truth has been rich and full, it has passed through and benefited from many traditions – including brief sojourns with various fringes like Harold Camping. But the most sustained influence – more than Aquinas, Nietzsche Kant, Buber, The Dali Llama, … has been Richard Bach’s Johnathan Livingston Seagull. I do not know whether we are born once to die once. I know that in this life, I have died and been reborn over and over. I have learned more from my failures than my successes. 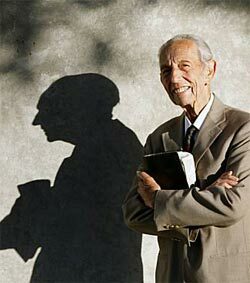 I have some small respect for Harold Camping. He was willing to separate himself from the flock, to risk being ridiculous. His greatest fault is his unwillingness to question his own premises. Being thought a fool, even being a fool is not as bad as joining the flock on the garbage heap, knowing you are wrong, but at least less so than others. Uncertain which direction to go, and missing out on life. If you are going to be a progressive – then be one, don’t be “progressive-lite” less exposed, but less satisfying. Be Harold Camping – believe in something. Yes, there are “true beleivers” who are unwilling to question their values. But you can be a “true believer” in nothing too. You can be absolutely certain of uncertainty, or absolutely certain that everyone else is wrong. Harold Camping”s great flaw is not the extreme nature of his beleifs, nor the certainty with which he holds them, or the vigor with which he defends them. It is his unwillingness to question his premises when he encounters an insurmountable contradiction. The unwillingness to subject ones core values to deep self scrutiny, is not unique to the extremes. Doubt and uncertainty can be just as extreme and wrong if they do not lead anywhere. dhlii has a couple of good points about personal conviction and fortitude, but here’s where he/she is wrong. A personal opinion is NOT a religion. Even vehemently defending a position does not make the defender infallible. The assumption that said defender does not question him/herself is a classically dangerous inference. It’s the same line of thinking that dubs atheists as religious, when NOTHING in the ACTUAL definition of “atheist” even remotely suggests that. It means a lack of belief in god or gods, nothing more, nothing less. This leads me to the second error, which at least strongly suggested that Mr. Bayan doesn’t question himself and basks in his own infallibility. Anyone reaching this conclusion hasn’t read the blog and should refrain from such sweeping accusations until he/she has. Thirdly, absolutism and uncertainty are utter antonyms. Therefore, one cannot be “absolutely certain of uncertainty.” The adumbration of the adverb may seem clever, but doesn’t make it any less erroneous. If one is uncertain about all things, then there is nothing absolute about that person. And likewise with the reciprocal. Greyfoot: Thanks for coming to my defense on the infallibility issue. I wrote a column some time ago in which I confessed my envy of ideologues who never have to depart from the playbook. I feel the same way about atheists and Bible believers. They have it easy: they’re convinced, and that’s that. Political and religious moderates have to work out their own positions based on the evidence they gather from reading and first-hand observation. It’s a challenge, and I wouldn’t give it up for anything… even though it can lead to excessive self-questioning and even self-doubt. As for being certain of uncertainty: I have to confess that I’m certain we can’t be certain about the existence and/or nature of God. (So on that score, I must plead guilty to dhlii’s accusation.) My certainty doesn’t imply that I’ve stopped searching for answers, as most forms of certainty would imply. On the contrary, I’m constantly adjusting my beliefs as I discover new evidence one way or the other. But I’m certain I’ll never be absolutely certain about the truth. Does that mean I’m wasting my time? No, I wouldn’t have it any other way. I have a suggestion in changing the definitions of “atheist” and “theist”. As everybody knows, Latin “a” prefix means “lack of”, then “theism” is a mental conception of a god(s), therefore “atheism” would be lack of conceiving a god(s). There is need to separate the process of conceiving a god(s) and believing in it (them). Conceiving some kind of god does not necessarily implies belief in it, therefore whoever conceives a god(s) is a “theist”, and whoever believe in it (them) are “pro-theists”. I am trying to make this distinction for I am an atheist, I lack the capacity of conceiving god(s). Why is that condemnable? :well, you better prepare yourself for an eternity in hell, lol. “Rapture and Judgment Day” are not truths, they are “justified true belief”, kind of knowledge pertaining to philosophy – love for knowledge. Everybody is entitled to express his/her knowledge. However, when philosophical knowledge is imposed through fear, intimidation or deceit , then said philosophy becomes religion. Christianisms as well all religions are basically philosophies that were imposed and put in “practice”. Anybody can philosophize and produce knowledge about a god that says that bad men go to hell, it is OK. However when I am threatened that if I don’t accept a knowledge produced by said philosophy, I am already in the religious realm. Verily thou sayest well, Valdo. I’ve always resisted the imposition of mandatory beliefs by organized religion; even the mild Quakers can be tiresome with all their self-righteous harping on “plainness” and “peaceful conflict resolution.” One thing I like about the Armenian Church (the church I was born and baptised into) — aside from the incense, pageantry and beautiful music — is that they seem to have a laissez-faire attitude toward their flock. No threats of fire and brimstone… no damnation for skipping church… no need to accept Christ as your personal savior or burn in hell. The whole production seeems to be an excuse to preserve Armenian identity, enjoy the ancient rituals and socialize with our countrymen.